It's been precisely 2 years and 1 day since we reviewed Stick Figure's 'Smoke Stack', a solid roots- reggae album if there ever was one. 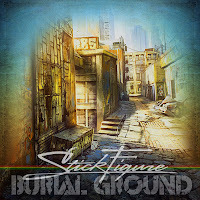 Scott Woodruff, the man behind the band, manages to produce yet another first class reggae record with his latest work 'Burial Ground'. Original, bass-heavy, one drop beats are consistent throughout the album, as are the subtle nuances...and sometimes not so subtle nuances....of dub. 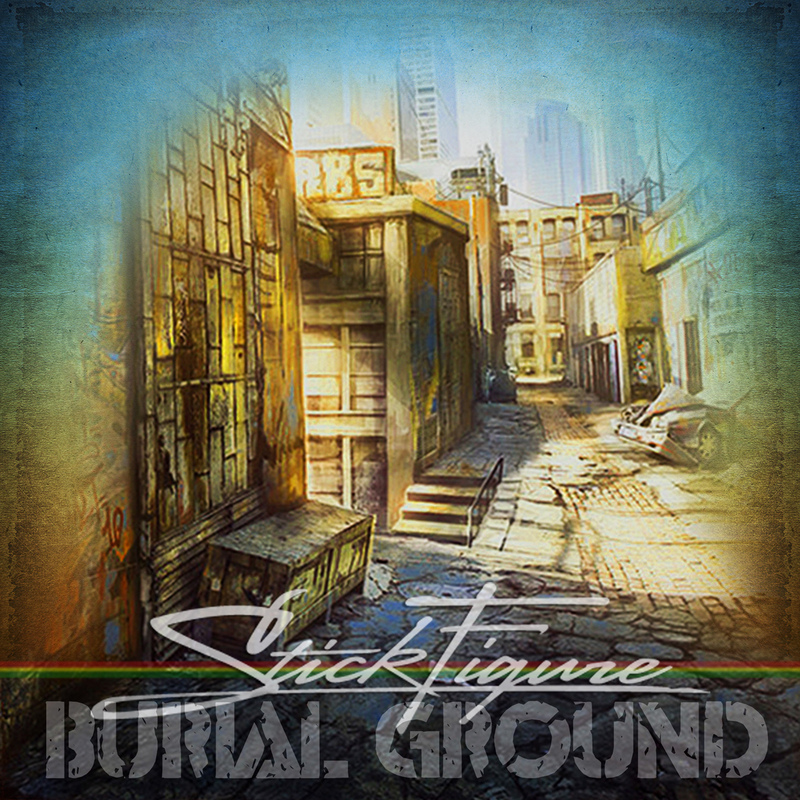 Stick Figure's digits remain firmly on the pulse of roots reggae/dub music. Breathe get things started nicely. "Hey, so here we are...beneath the moon...the rising sun and stars. It's a brand new day. It's a brand new start....to greet the world...just me and my guitar." Just breathe and take it in! Well done. Golden Hour is simply a lovely tune all the way around. Who doesn't enjoy a beautiful sunset at the beach with the soothing sound of waves in the background?! The riddim is sultry and mellow with a well-placed bridge. (A 'bridge' is always a welcome sight when it comes to reggae music!!) Evident also are the excellent harmonies, a common thread throughout the record. Unlike previous efforts, Woodruff co-wrote 5 of the tunes with close friend T.J. O'Neill. This collaboration definitely paid dividends, including the aforementioned Golden Hour, the thumping return of Coming Home, and the title track Burial Ground. However, the most outstanding of this bardic union has to be Weight of Sound and Women of the Night. The latter features the legendary Half Pint on guest vocals. Sampling Bob Nesta's 'Stiff Necked Fools' is a brilliant move as Half Pint belts his verses like only he can. Most definitely one of the stand outs of the record! Weight of Sound is another stand out of the highest quality. This time T.J. gravitates to "D.J." O'Neill, as his gruff, original 'chat' brings this booming, 7 + minute classic to a to fitting conclusion. Shelter has a vintage 70s feel that calls to mind the Studio One classic 'Armagideon Time' by Willie Williams. Hard Drugs is a timely tribute to the Cool Ruler while the forward guitar riff on Rocky Road is a clever touch on another stand-out tune, arguably the record's best. Woodruff's choppy delivery at stages is supremely smart and blends seamlessly with the air-tight harmonies! Heartland continues the fine musicianship that is Stick Figure. The man can craft a reggae beat with the best of them! Just Another Dream has a futuristic vibe with heavy roots/dub influences at it's core. Dreamland, dub at it's finest, closes a truly prolific album. 'Burial Ground' is a joy from track 1 to track 14. It's innovative, all the while remaining true to reggae of the purest form. The harmonies take this record above and beyond previous efforts. Play on Stick Figure....Play on!! Highly Recommended!